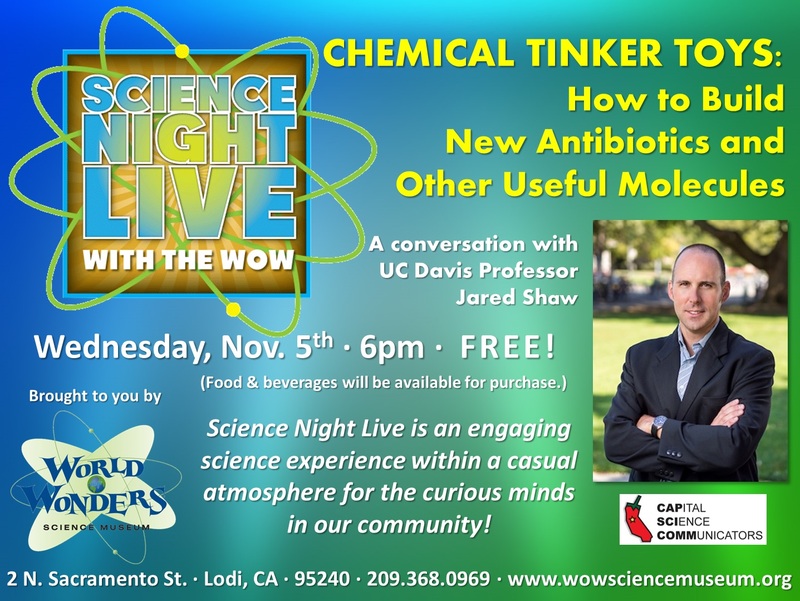 Debuting in November 2014, the SCIENCE NIGHT LIVE series was created by Nick Gray, Education Director at the World of Wonders (WOW) Science Museum. 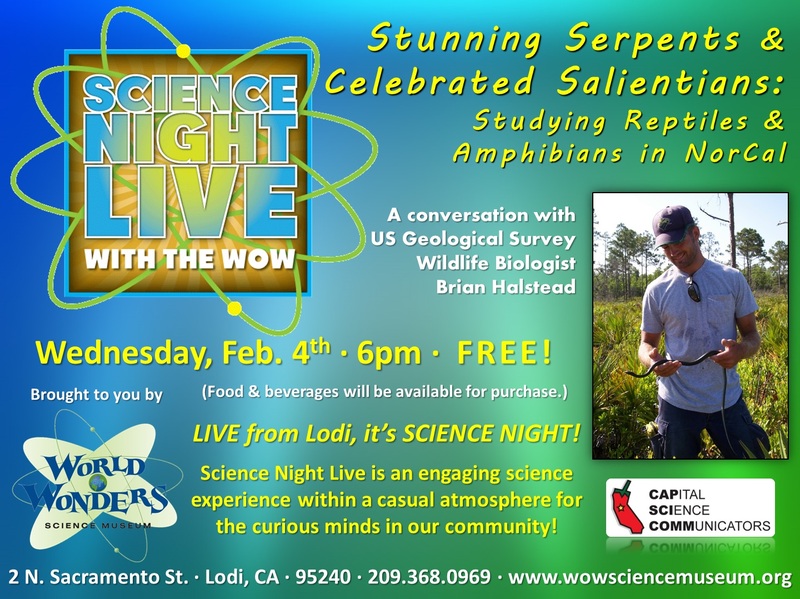 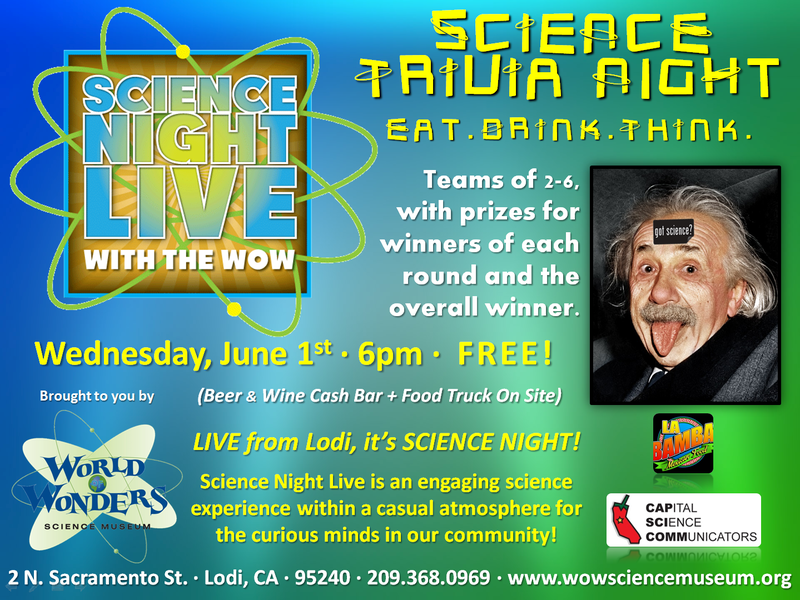 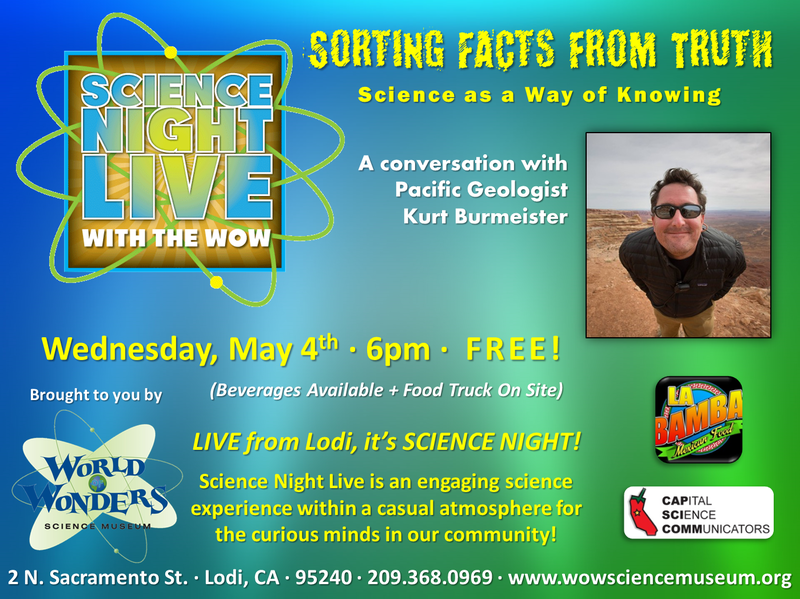 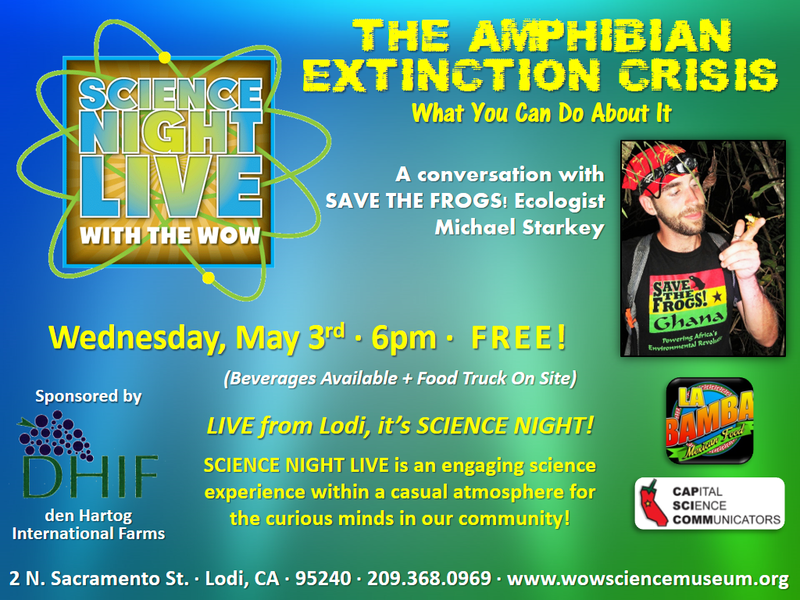 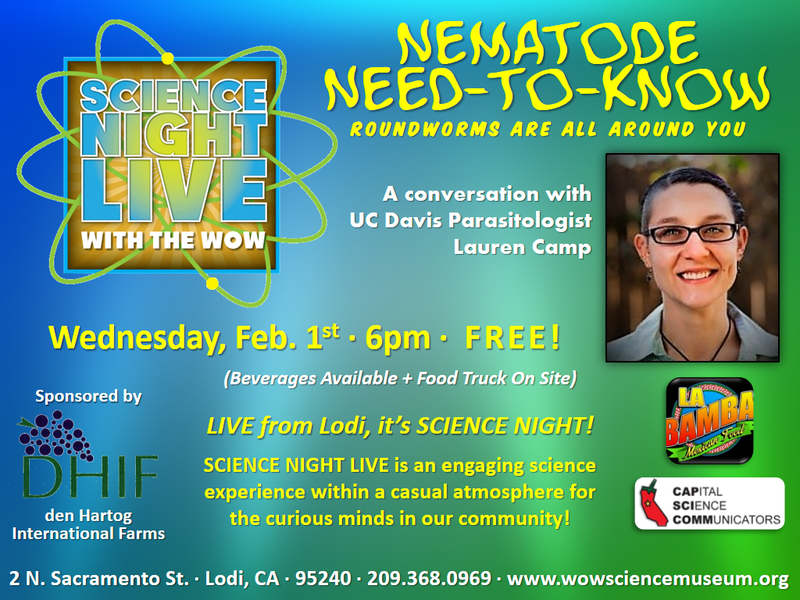 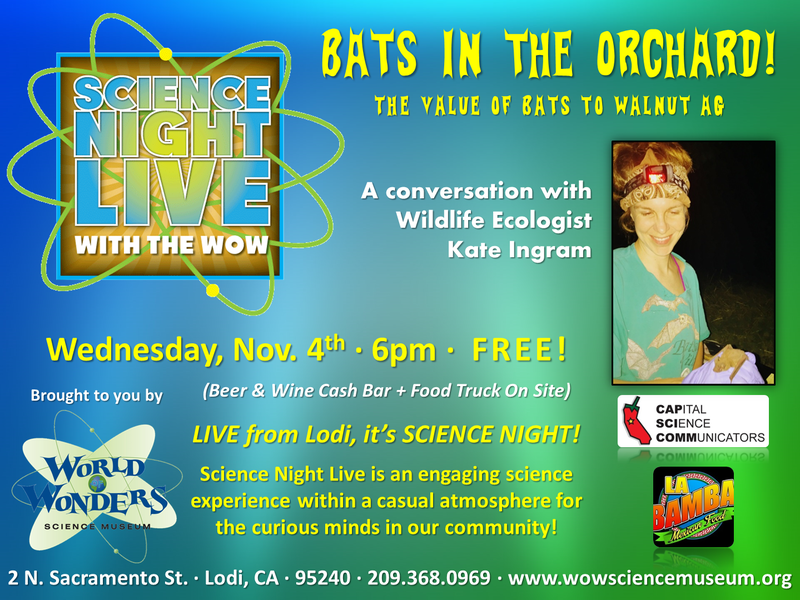 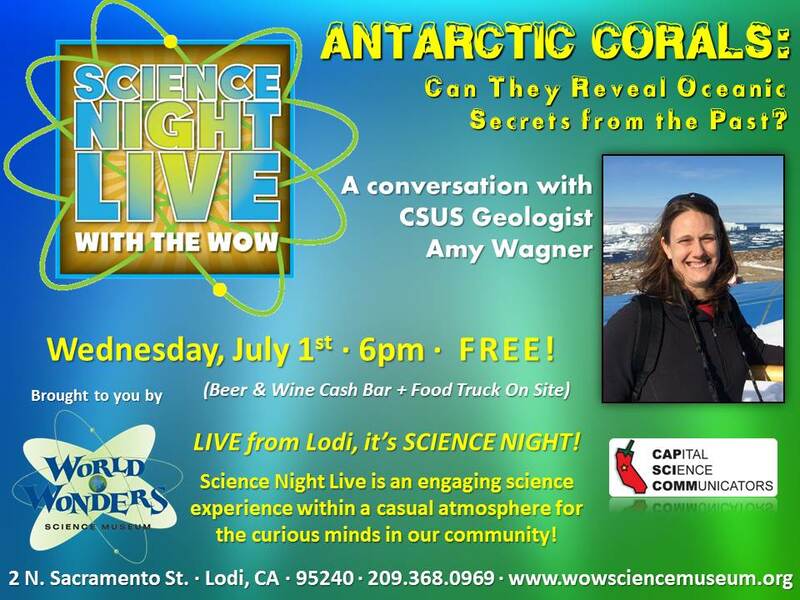 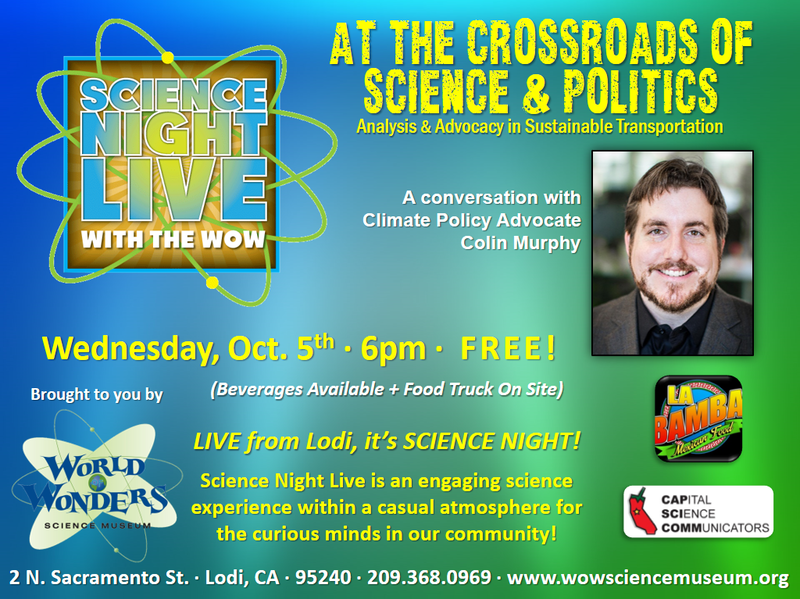 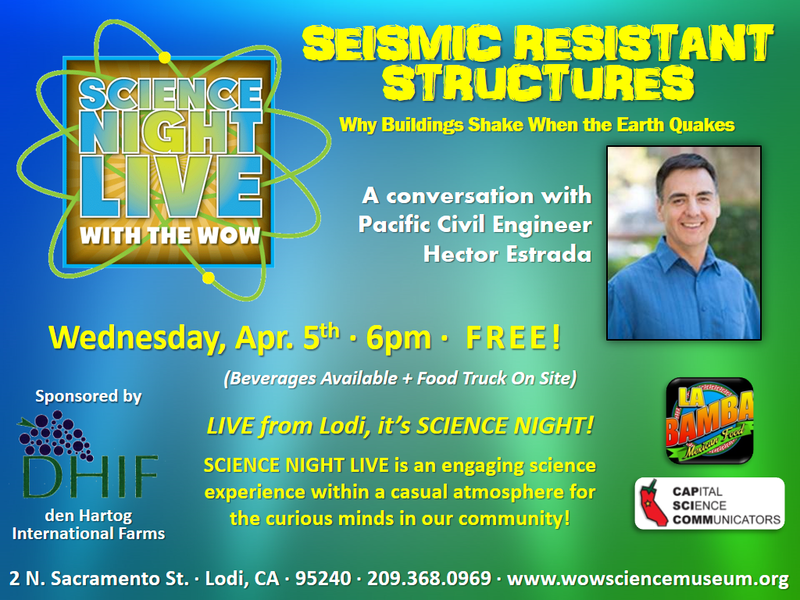 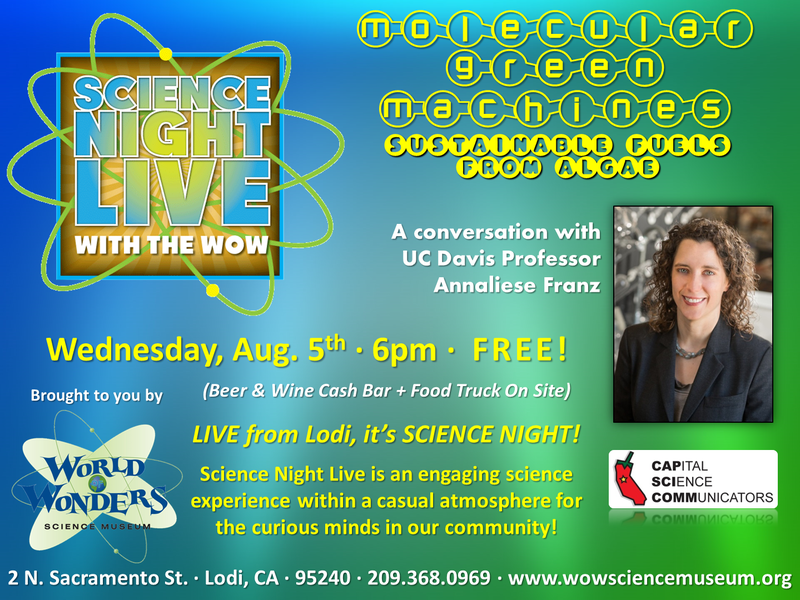 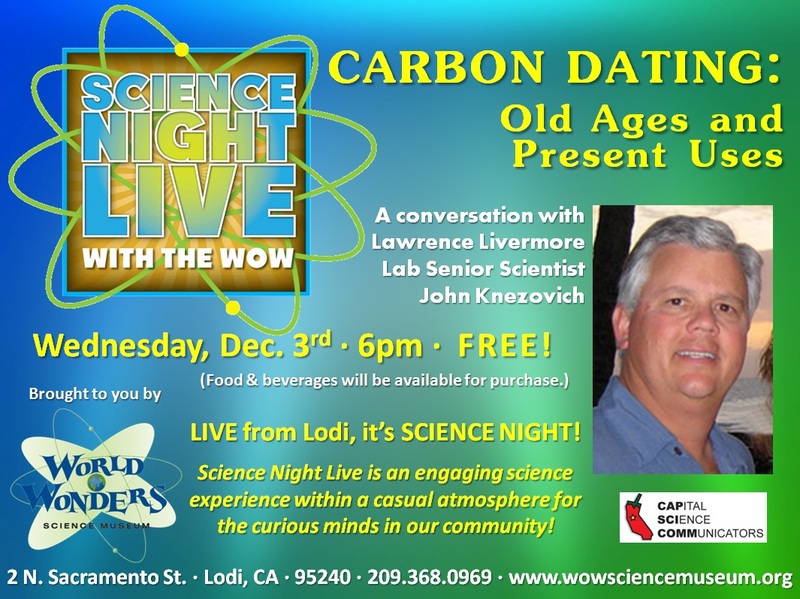 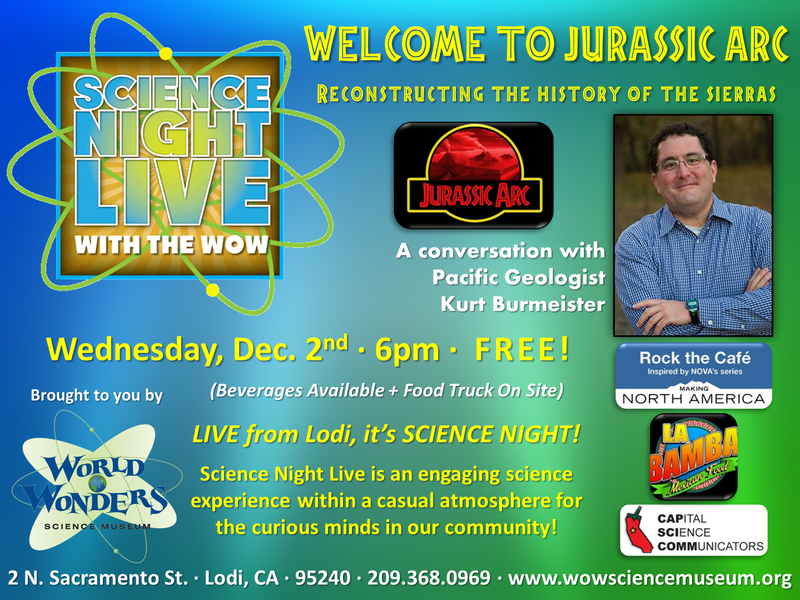 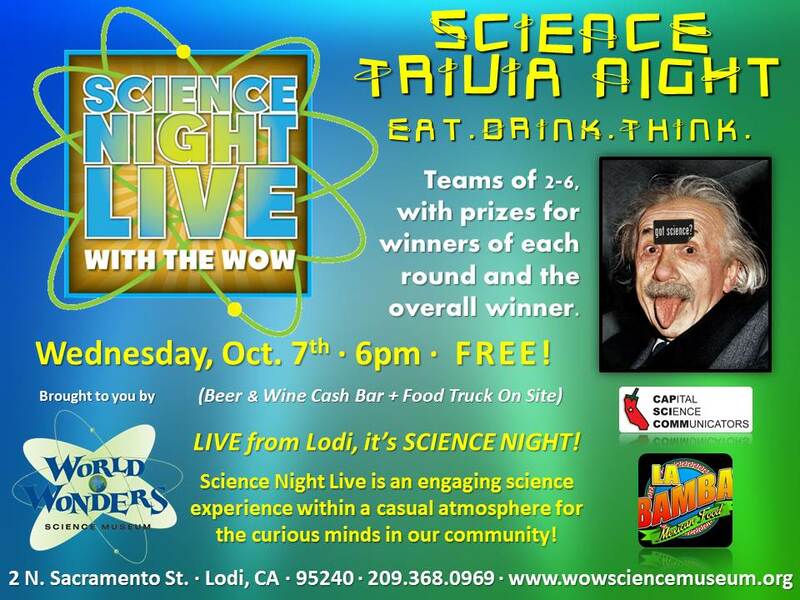 Supported by the museum and promoted by CapSciComm, SCIENCE NIGHT LIVE is held at the museum located in Historic Downtown Lodi, on the first Wednesday of each month. 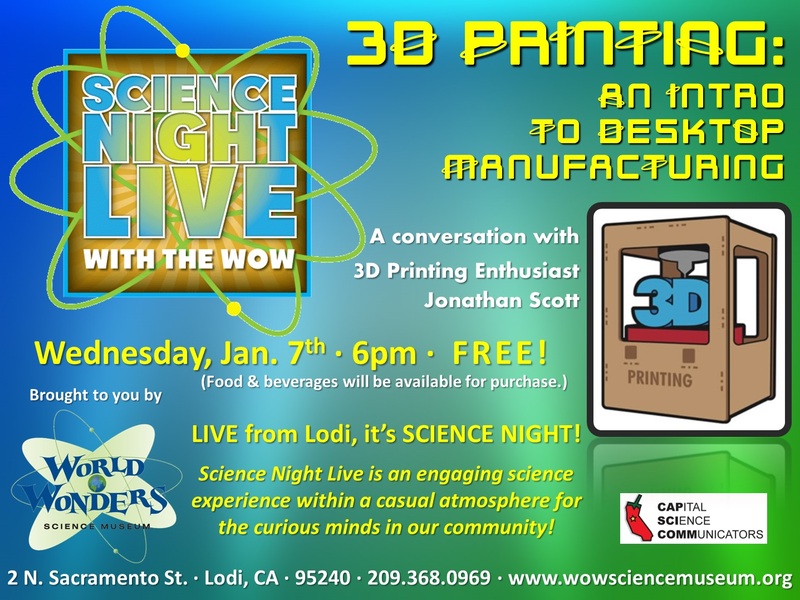 It is free to the public and designed for adults of all ages. 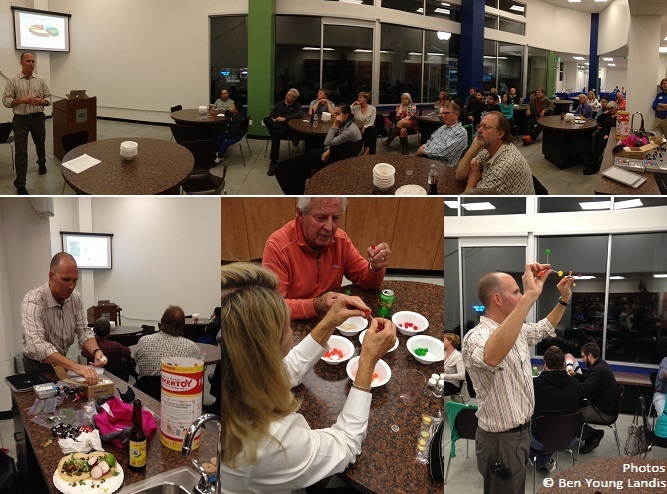 SCIENCE NIGHT LIVE is an engaging science experience within a casual atmosphere for the curious minds in our community. 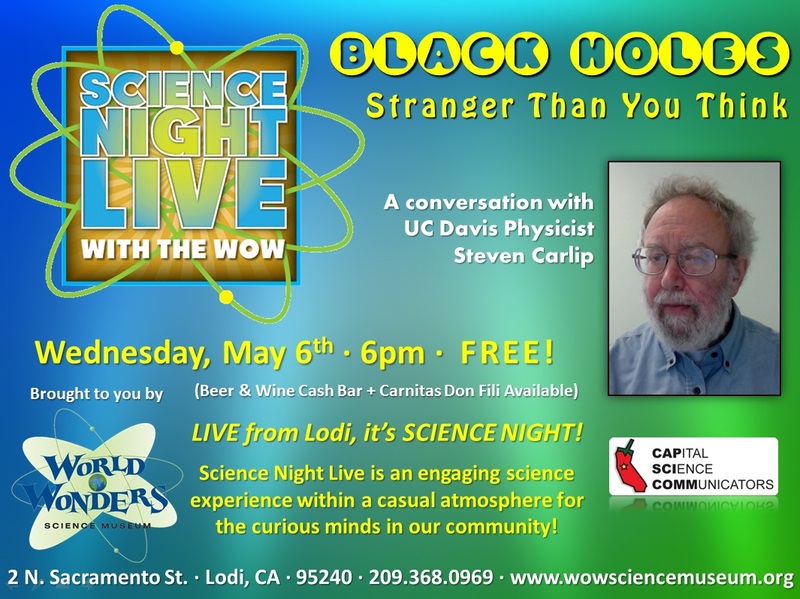 It’s a great way for folks to wind down after work, meet up with fellow science enthusiasts, and mingle with a wide variety of scientists from our region. 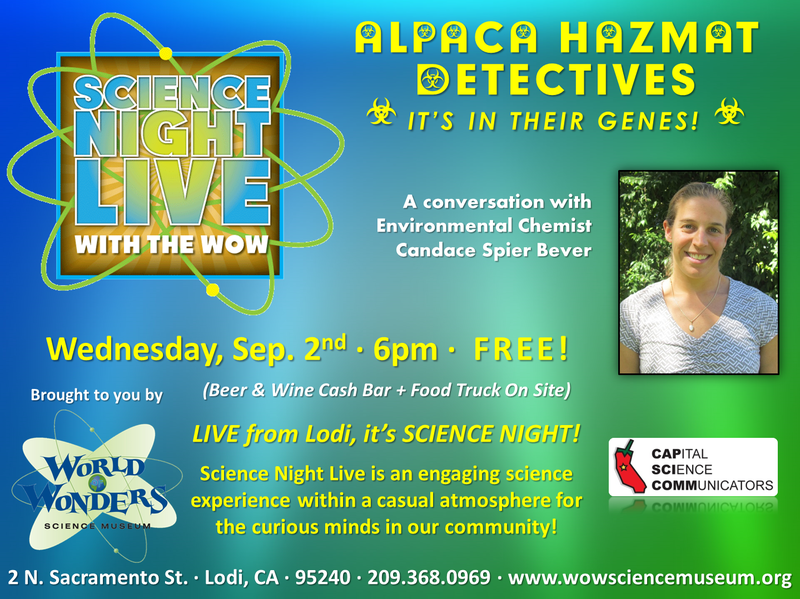 Swing by for some after-hours science! 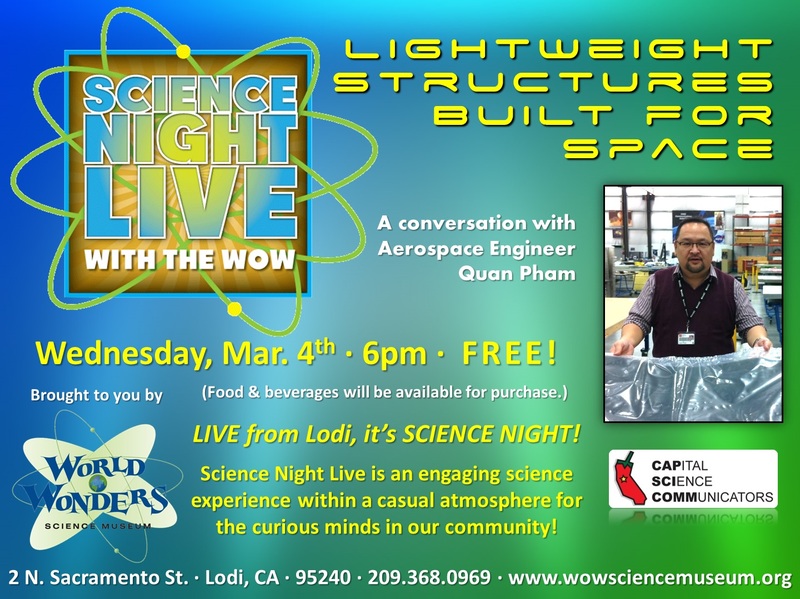 NOTE: As of late 2017, the WOW Science Night Live series is no longer in operation. 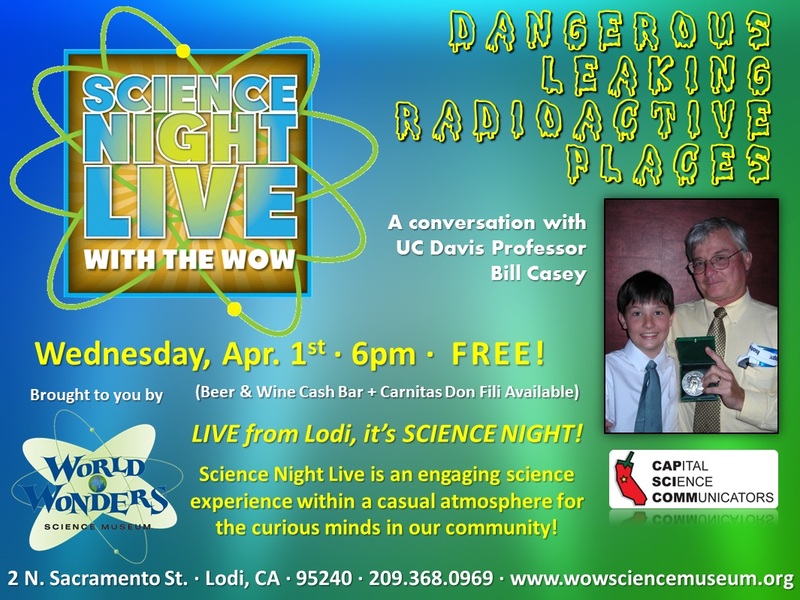 But CapSciComm is proud to archive its scicomm legacy in our region!